1. Clean the crevices in your window with a track brush that'll fit right into the crevices and help sweep and scrape out all the gunk. Get it from Amazon for $6.98 or Walmart for $2.99. 2. Use vinegar and Dawn to make the best shower and tub cleaner you've ever used. Find the full recipe for how to DIY this shower cleaner at Genius Kitchen. Get the cleaning vinegar from Amazon for $12.60 or Walmart for $4.33 and get a two-pack of 56 oz bottles of Dawn dishwashing soup from Amazon for $13 or a single bottle from Walmart for $7.12. 3. Learn how to remove all those stubborn stains using this guide that breaks down exactly what you need to get rid of all those unwanted blemishes. 4. Finally get the outside of your second-story windows clean with a telescopic tool that you can use from inside your house. Get it from Amazon for $29.99 or Walmart for $38.99. 5. 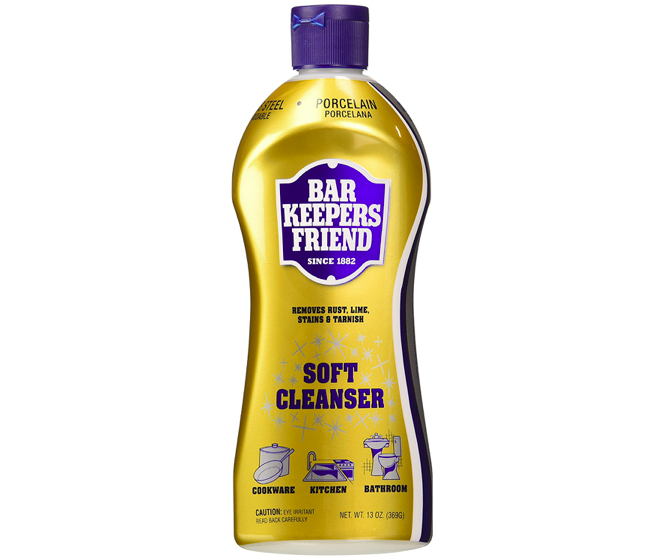 Rely on Bar Keepers Friend when it comes to removing stains and rust. Get a two-pack from Amazon for $8.79 or a single bottle from Jet for $3.20. 6. Use a pumice stone to break down and clean stubborn toilet rings and caked-on grease without scratching or causing any damage. Promising Review: "Omg this thing is awesome. I had no idea this could make my 26-year-old toilet look like new. We have a well and our toilet developed rust streaks — this stone erased it like a boss! The scrubbing sound when using it does grate on me a little like nails on a chalkboard but the end result is worth the anguish. This will be a reorder for sure if I ever need another. They seem to last. I cleaned two toilets and I would guess I wore down an eighth of one stone. Takes care of stubborn rings too. Great product." —Brenda W.
Get it from Amazon for $7.99 or Jet for $9.13. 7. Keep your baseboards dust-free by reusing old dryer sheets, they'll not only work as a duster but they'll also get rid of static and keep them looking good throughout the week. Get it from Amazon for $4.99 or Jet for $4.99. 8. Get your microwave clean with steam and this lady who is ready to nag you at the sound of the beep. 9. Use an old toothbrush (or this durable brush with scrubbing bristles) to get those hard-to-reach crevices that would normally go totally ignored. Get it from Amazon for $5.99 or Jet for $5.99. 10. 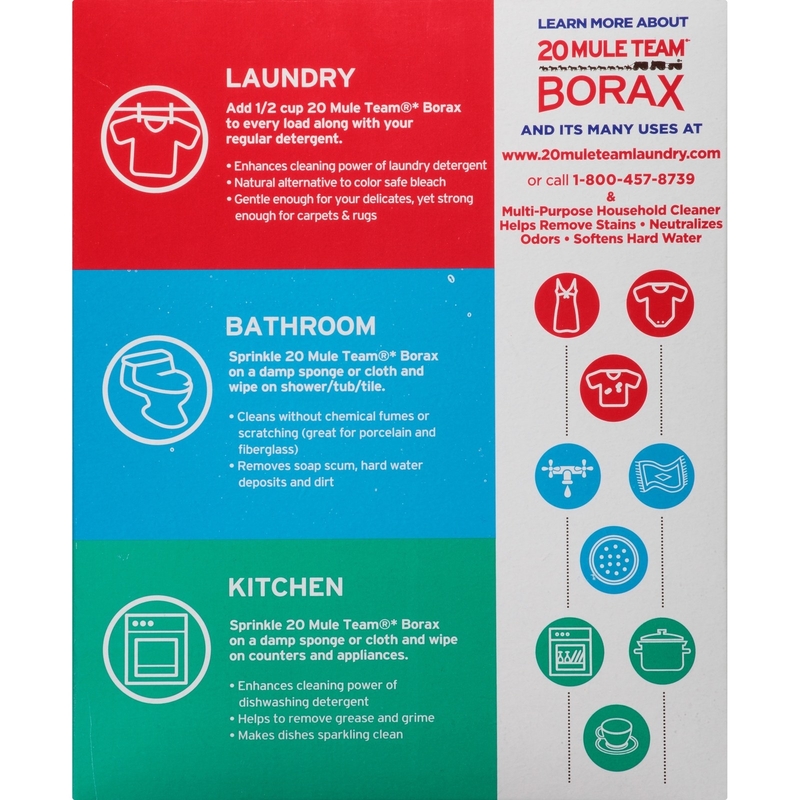 Use Borax to create your own detergent or bathroom and toilet bowl cleaner. 11. Bundle some chalk in your closet to help absorb moisture and keep your clothes fresh to death. Learn more at Martha Stewart. Get a box of chalk from Amazon for $3.45 or Walmart for $4.37. 12. 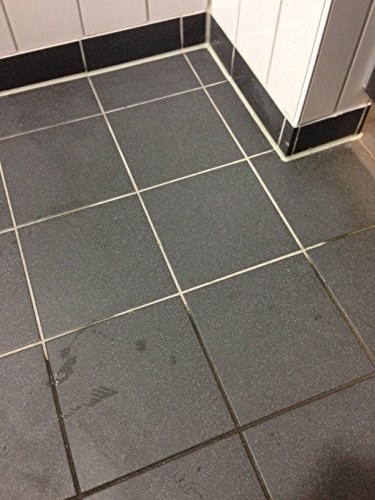 Get grout lines super clean with a plastic bristle joint brush that's perfect for reaching those nooks and crannies. Promising Review: "Best grout brush I've used yet. The bristles are stiff enough to clean the grout and soft enough that they don't tear up the travertine tiles like a metal brush would. My wife started using it and it worked so well she couldn't stop and that's a lot better than me having to use it. We'll have to buy another one to attach to the end of a battery operated reciprocating saw so it can provide the elbow grease." —James S.
13. 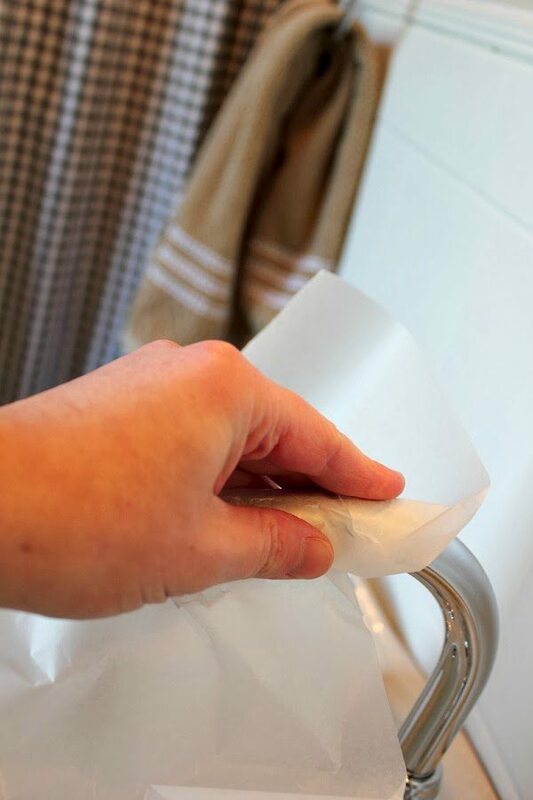 Use wax paper to get rid of (and prevent) water stains on your faucet. Get the full tutorial at Creek Line House. Get the wax paper from Amazon for $5.99 or Jet for $2.42. 14. Get rid of mold from ANY surface or material with this handy guide. Learn more at Heiton Buckley. 15. Use foil and baking soda to polish all your silver. Get the full tutorial at Apartment Therapy. 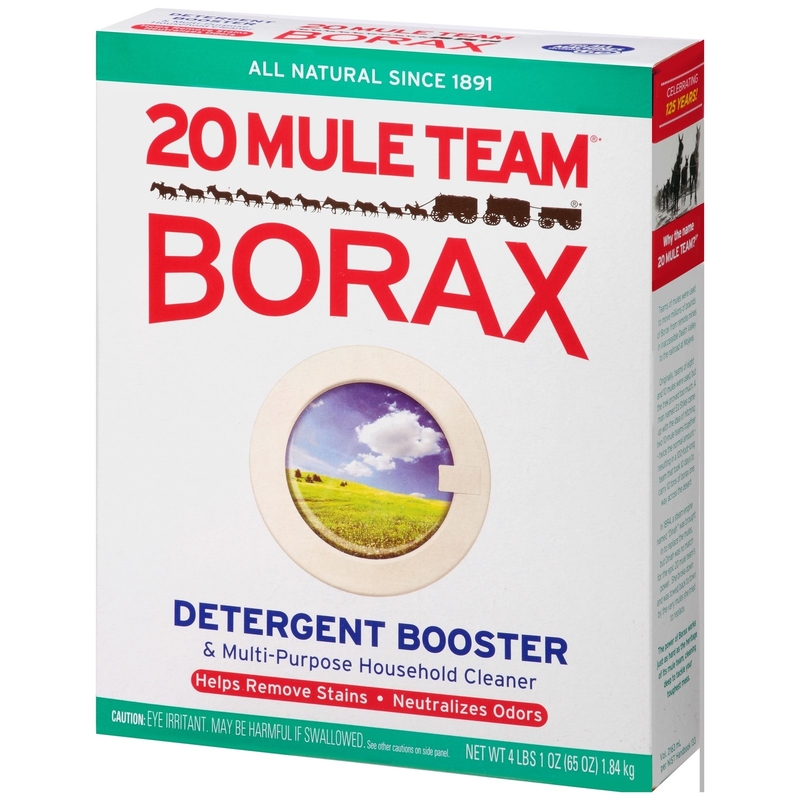 Get the foil for $5.99 and baking soda for $1.89 from Amazon. 16. Cut down on the time it takes you to clean blinds and shades with a microfiber cleaner designed with three removable microfiber sleeves for easy washing. Get it from Amazon for $6.56 or Jet for $8.45. 17. 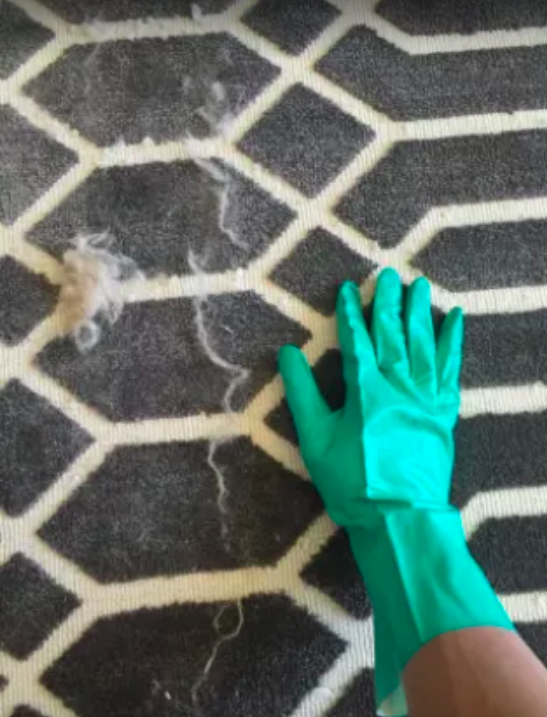 Use dishwashing gloves to remove pet hair from rugs and upholstered furniture. Put on a set of dry dishwashing gloves and rub down on your upholstered furniture. 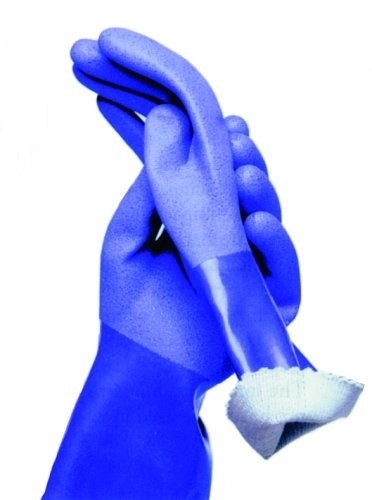 The hair will clump together as it sticks to the gloves, making for easier vacuuming and disposal! Get a pair from Amazon for $8.50+. 18. 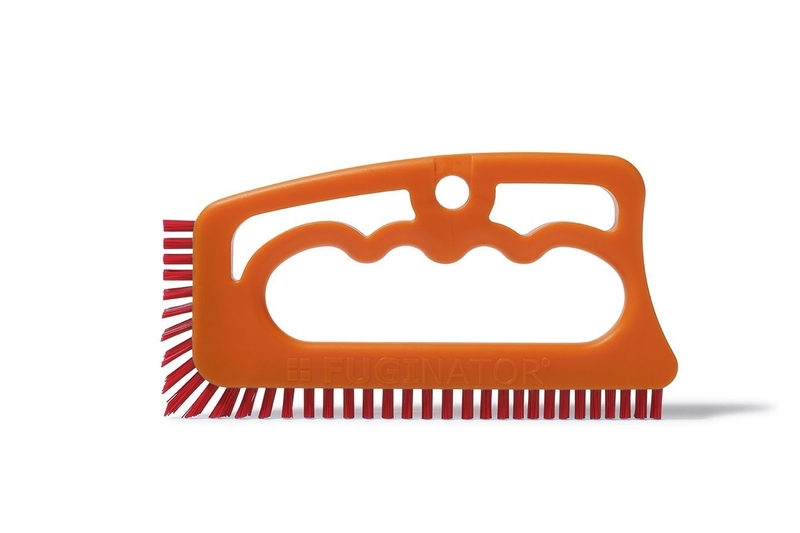 Use the power of the tools you already have by attaching non-scratch scrubber attachments. 19. Try a vent cleaning brush to help clean out your dryer's lint trap. Get it from Amazon for $7.98 and at Jet for $12.67. 20. 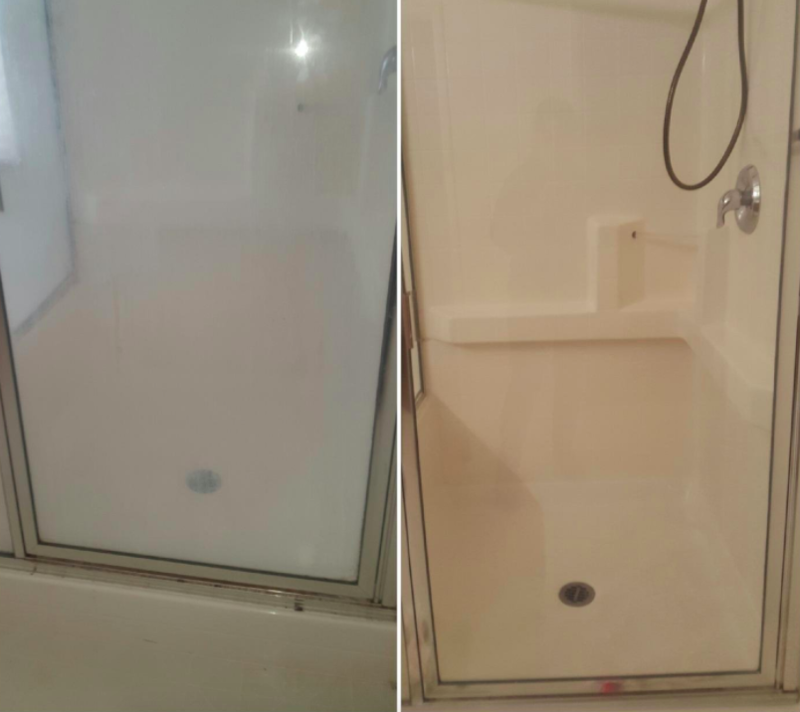 If you have a walk-in shower, a chain hair catcher will collect all the gunk and help prevent clogs. 21. 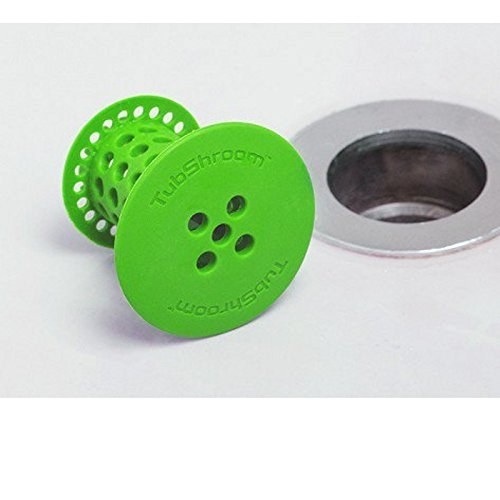 Or get a TubShroom to catch all the hair that would normally clog your pipes. Get it from Amazon for $12.95 or Jet for $12.99. 22. Use baking soda paste to get rid of that gunk that builds up in the crevices of your wood cabinets. Just mix one part coconut oil with two parts baking soda to get the magic grime-fighting powers of baking soda paste. Find the full tutorial at One Good Thing by Jillee. Get coconut oil for $8.79 and baking soda for $1.89 from Amazon. 23. Make your own no-fume bleach with baking soda, dish soap, and hydrogen peroxide. Just mix together a half cup of baking soda, one teaspoon of dish soap, and a half teaspoon of hydrogen peroxide. Then use a cloth to apply it to a wet surface. 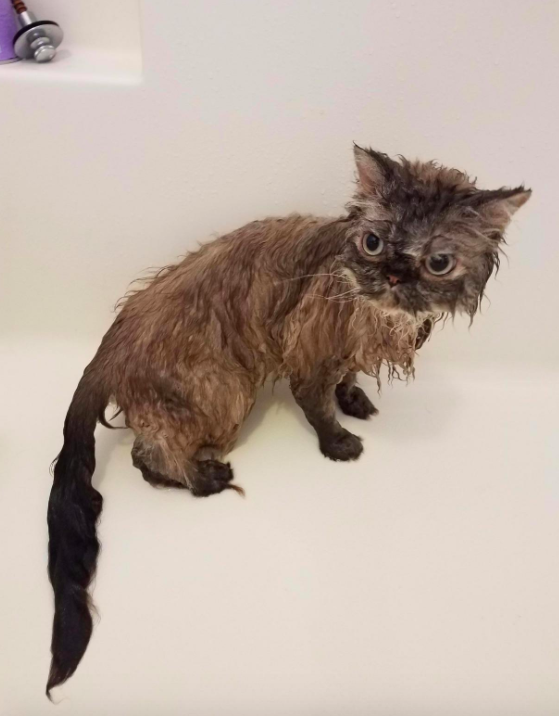 Make sure to rinse the surface well after you're all done. Get a bag of baking soda for $1.89, dish soap for $3.69, and hydrogen peroxide for $5.50 from Amazon. 24. Use a dab of toothpaste to clean those pesky mineral deposits that develop on your iron. Get more toothpaste-cleaning tips at Real Simple. Get toothpaste from Amazon for $3.79 or Jet for $5.16. 25. Clean everything from top to bottom, left to right. This may seem obvious but it's also a mistake many of us have made. You vacuum and then dust, only to have to vacuum again because of the particles that made their way down onto the floor. So, save some effort by starting with high-up surfaces, then the countertops and tabletops, and finish with the floors. Get the duster pictured here from Amazon for $20. 26. Carry all your cleaning supplies in one convenient place so you can pick up and move to your next cleaning destination with ease. 27. Clean your lampshades by passing a lint roller over them; it'll collect all the dust that's nearly impossible to get. Pick up a five-pack of lint roller on Amazon for $16.72 or a single lint roller from Jet for $4.08. 28. Use table salt to clean any grease spills on wooden surfaces and any overflows in your oven. Cover a grease spill on a wooden kitchen surface with salt, let it sit for an hour, then brush away the salt. The salt should help absorb the grease from the wood! And if you ever have an overflow in your oven, cover it with salt immediately! Once it's dry and cool, it'll be super easy to remove. Get a two-pack from Amazon for $7.58 or a single pack from Jet for $2.28. 29. Use Alka-Seltzer to remove algae from bird baths, clean stains off of plastic containers, or even freshen up your fridge. See all the ways you can use Alka-Seltzer on One Crazy House. Get it from Amazon for $9.33 or Jet for $9.33. 30. Clean varnished wood with a mixture of olive oil and white vinegar to get it totally clean without any damage. Combine two tablespoons of olive oil, one tablespoon white vinegar, and a quart of warm water. Put the mixture into a spray bottle and lightly dampen the surface with the mixture, then dry with a cloth. Get olive oil from Amazon for $17.14 and white vinegar for $12.60 on Amazon or Walmart for $4.33. 31. Use an old pillowcase to clean ceiling fan blades; the opening will collect all the dust so it doesn't end up all over your house. See the full tutorial on WikiHow. Get a pillowcase from Amazon for $6.99. 32. Clean your stainless steel appliances with a little cooking oil. Put a little cooking oil on a lint-free rag and wipe down your stainless steel appliances. Get a bottle of spray cooking oil from Jet for $4.33. 33. Give your dishes that sparkling finish by adding white vinegar to your dishwasher before you run it. Add a small bowl filled with about one cup of white vinegar to the center of your top rack before your run your dishwasher. The vinegar will help remove watermarks and deal with those cloudy glasses. Get it from Amazon for $12.60 or Walmart for $4.33. 34. Try a dishwasher cleaner and washing machine cleaner, because even though they spend all their time cleaning your things, they still need to be cleaned! Get the dishwasher cleaner for $5.09 and the washing machine cleaner for $10.79 from Amazon. 35. Clean that impossible-to-remove dust from candles with a cotton ball and rubbing alcohol. Just soak a cotton ball with rubbing alcohol and wipe down your dusty candle. The moisture and alcohol will collect all the mess and leave your candle sparkling new. Get three bags of cotton balls for $10.18 and rubbing alcohol for $9.61 from Amazon. 36. And don't forget to dust those lightbulbs! Lightbulbs need love too! The same dust that settles around your house also settles on the surface and crevices of your lightbulbs, making your lights shine a little less bright. To dust them just take a soft-bristle paint brush and gently sweep it away. Get a six-pack of LED bulbs for $18.99 and a soft bristle paint brush for $3.70 from Amazon.